Saraki says the release of the girls shows commitment in part of the security outfits. Senate President, Dr. Abubakar Bukola Saraki, on Thursday, commended President Muhammadu Buhari, the Nigerian Security Services, the government of Switzerland, and the International Community for the combined efforts that led to the release of the 21 Chibok school girls. This was stated in a press release issued by the Media Office of the Senate President and made available to the press in Abuja. “We must also not take our foot off the gas, Nigerians must continue to be united and insistent on the safe return of the other girls that are still in the hands of Boko Haram,” he said. The Senate President restated the commitment of the 8th Senate to continue supporting the federal government to secure the release of the Chibok girls, highlighting the fact that their abduction still marks a dark notch in the history of the country. 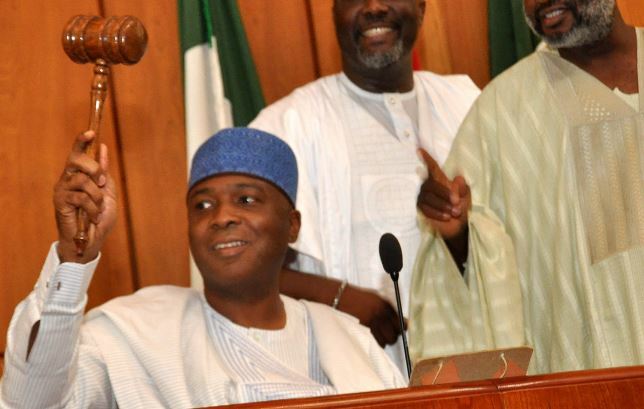 “On our part, the Nigerian Senate has been clear that we will continue to do everything within our powers to support efforts aimed at securing the release of the rest of the girls,” Saraki said.